No one will never be able to detect this hidden camera disguised to look like a regular and fully functional clock radio. the Hidden Camera Clock Radio & DVR features motion-activated recording that begins recording the instant motion is detected. With motion-activation you will never have to fast forward through hours of useless footage looking for the action. Capture up to 32GB of high resolution 480 TV Lines video surveillance onto a removable SD card. The Hidden Camera Clcok Radio & DVR also plugs into any TV or computer with a RCA cable for quick and easy viewing. 4 Adjustable Stand to compensate for uneven surfaces. 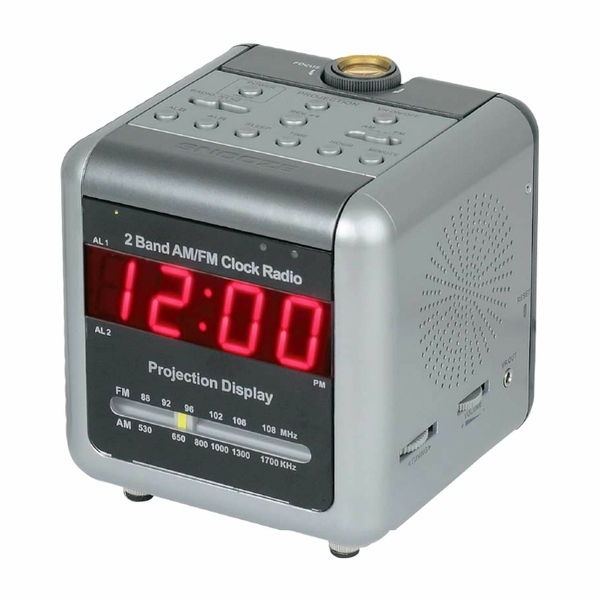 2 Band AM/FM Radio Dual Alarm Clock.